From legendary hotdog stands to royal watering holes and prestigious hotels: These urban institutions are themselves worth a city vacation. Some places are more heavily steeped in history and legend than others. Echoes of history resound in the very foundations of these buildings, with the atmosphere of the past being kept alive by the enthusiasm of new generations. Recently, one of these Norwegian landmarks were highlighted by The Guardian. The British newspaper paid a visit to Syverkiosken in Oslo – one of the capital’s last hotdog kiosks operating independently from the major store chains, and doing so since 1979. “I’m lost in a moment of hotdog heaven”. That’s how The Guardian’s foodie traveller David Atkinson describes the wiener sausages Erlend Dahlbo serves him from the familiy-owned kiosk by Alexander Kiellands plass. There are, however, several other places in Norway abundant with personality, history and soul – single-handedly justifying a trip to the city in which they are located. One of them is found in the historical area Vågen in Bergen. Dyvekes Vinkjeller (“wine cellar”) is named after the Dutch beauty Dyveke Sigbrittsdatter, who was the mistress of King Christian II of Norway and Denmark, and died under mysterious circumstances in September 1517. Dyveke lived in Hollendergaten 10, which was rebuilt in its present form the year after the city fire in 1702. The authentic wine cellar named after her is located across the street. The award-winning restoration work has been done in cooperation between the City of Bergen and the Department for Cultural Heritage Management. In the same area of Bergen you’ll find Enhjørningen Fiskerestaurant – the city’s oldest fish restaurant, with history going all the way back to the Hanseatic League in the 14th century. The name Enhjørningen – meaning “unicorn” in Norwegian – was mentioned as far back as in 1304, and traditions are being preserved with diligence at this very popular eatery among local residents. And let’s not forget Bergen’s own pride when it comes to hotdogs. The kiosk Trekroneren in the city centre has attracted hungry tourists as well as resident regulars since 1948, with an extensive selection of sausages – including Europe’s biggest, weighing 250 grams – on the menu. 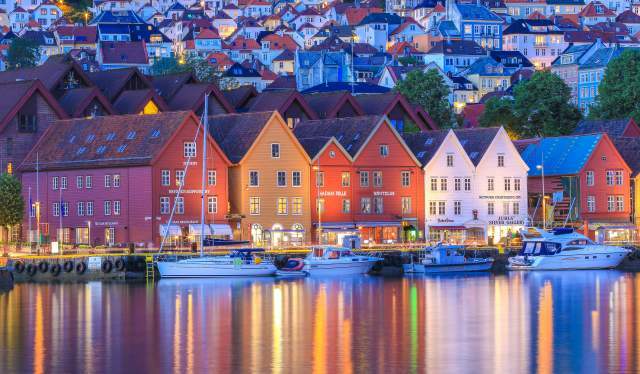 In Mid-Norway’s major city Trondheim, there’s no shortage of places with historical gravitas and contemporary charm. Baklandet Skydsstation has been declared “maybe the coziest place in Scandinavia” by none other than National Georgraphic. Overlooking the mighty cathedral Nidarosdomen, the café’s host Gurli Riis Holmen serves homemade cooking and scrumptious cocoa. 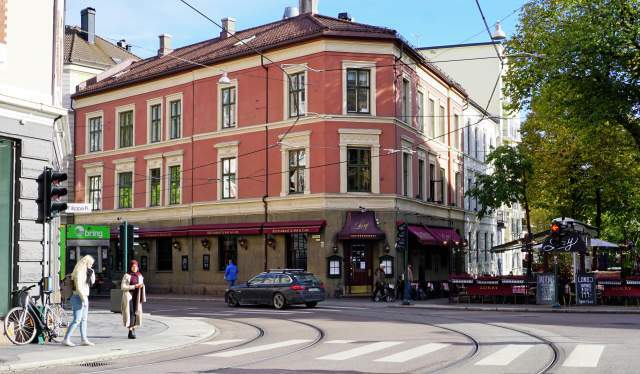 The building – the only one of its kind listed in the old town of Bakklandet – has historical roots stretching back to the 1700s. A 15 minute bus ride outside of the city centre, Skistua offers a stunning view 436 meters above sea level. This ski lodge was opened way back in 1896, but after a particularly festive New Year’s Eve, the cabin burned to the ground on January 1st 1947. After several years of decay during the 80s and the 90s, the cabin was restored in the new millenium. Today, many combine skiing with a meal in these calm and beautiful surroundings. Venison stew, tomato soup and pancakes are among the simple, but tasty dishes being served. We can’t let go of the hotdogs just yet. In Tromsø, a legendary, rocket-shaped landmark is located in the city’s main square Stortorget. Steeped in history, Raketten Bar & Pølse has been there for more than 100 years. 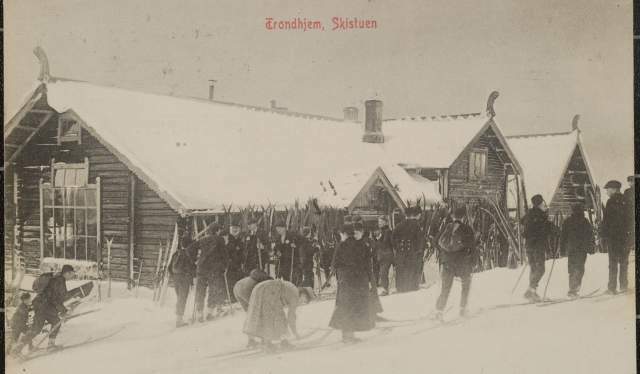 “Løkkekiosken”, as it was originally called, was founded by 18 year old Margit Løkke in 1911. The kiosk has been listed as protected by the Department for Cultural Heritage, but an extensive selection of beers as well as sausages provides an even flow of new and regular customers. The mere description of the small venue – “Norway’s smallest bar since 2014 and Tromsø’s meeting place since 1911” – should single-handedly be enough to pay it a visit. 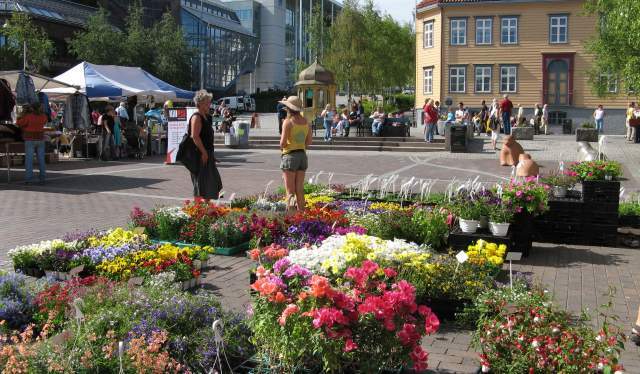 In addition, the square is the place for the annual music festival Rakettnatt – Tromsø’s hottest summer party – every August. In Stavanger, one of the most popular and traditional landmarks is a bakery. Fredriks has fed hungry residents since 1899, when Alfred Delin Fredriksen founded what has become the city’s oldest bakery and confectionery store in the area Storhaug. That’s where it’s still located – still owned and by the Fredriksen family. According to the locals, Fredrik’s specialty is horn rolls with cheese and ham, but the store also provides elaborate and delicious cakes for any occasion. Another, even older institution in the Western city is Birkemo – colloquially known as The Trickster or Paradise on Earth – which has sold toys and carnival props since 1874. For thirsty adults, the bars Cardinal and Cementen are solid options. The former takes pride in offering 600 brands of beer, while the latter has been one of the most vital live scenes of the region for decades. Back to Oslo, which obviously has a lot more places steeped in history than just Syverkiosken. We’ll scratch the tip of the iceberg and pick two of them. Artists, politicians, actors and other guests eat, drink, argue and make up at Lorry, an iconic and unique restaurant located where Oslo’s city center meets the westside. The venue’s history stretches back to the 1870s, and the same family has been running the place the last 60 years. If a good night’s sleep in surroundings steeped in history appeals to you, Grand Hotel in the capital’s main street is recommended. Here, in the hotel’s Grand Café, Edvard Munch, Henrik Ibsen and the (in)famous bohemians of old Oslo used to hang back in the days. Currently, stars such as Madonna, Bruce Springsteen and Barack Obama are occasionally spotted here. What’s happening in the Norwegian big cities in 2018? Majestic ships, a new Munch exhibition, ice domes and cheese championships: Here are some reasons to make next year’s holiday an urban one. Norwegian traditions such as Christmas rib, straw goats and rice porridge is highlighted in a new Disney short based on the Frozen-universe.